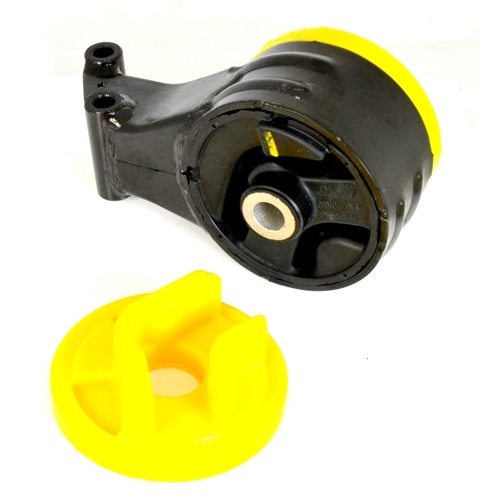 Fits the rear lower engine mount where the original bush has a round central sleeve fitted from 2005 on, for mounts with a rectangular sleeve use PFF66-521. This fits into bracket 9156932. Fits into the voiding of the original bush to reduce engine movement under acceleration. Slight increase in vibration may be felt use PFF80-1221R for minimal vibration increase and for diesel engines.